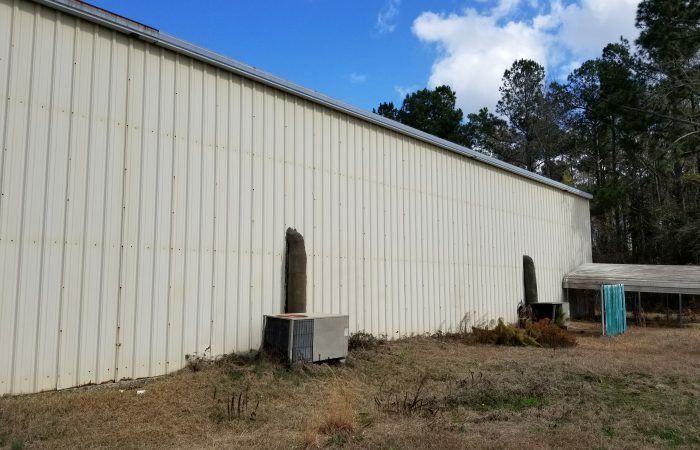 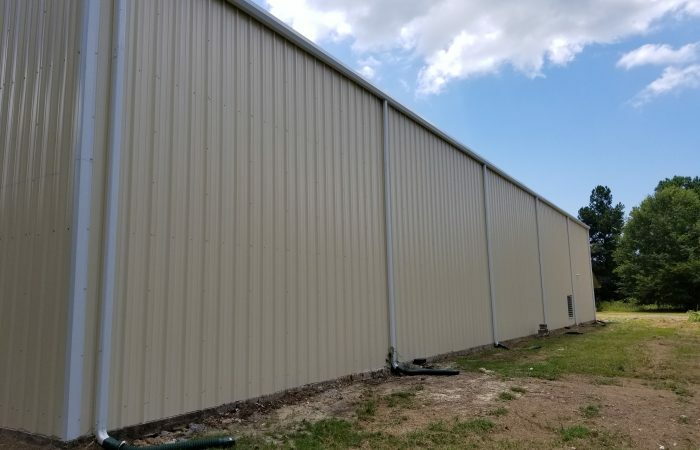 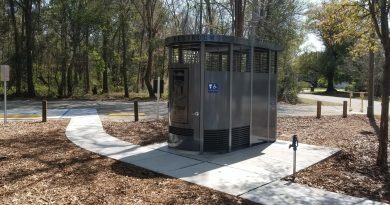 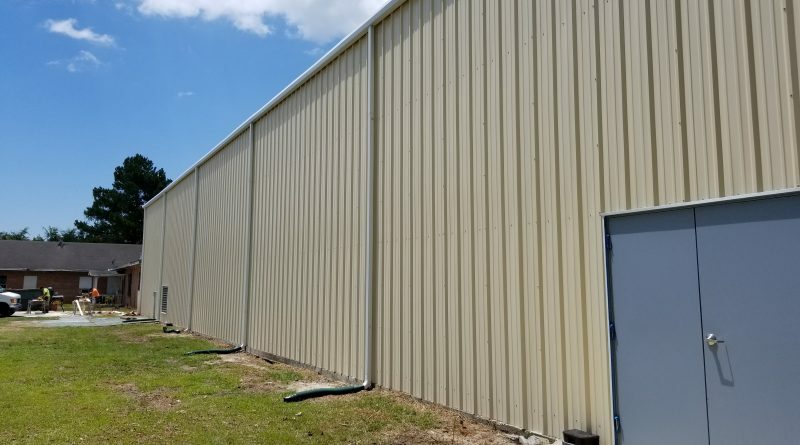 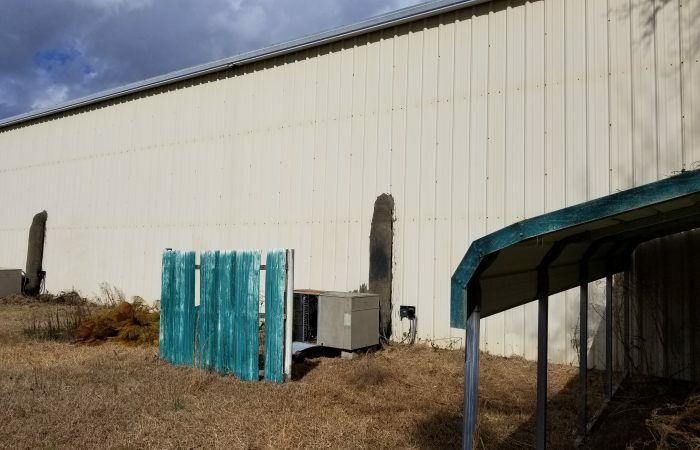 Scope of work: Remove and replace exterior corrugated metal wall panels, trim, gutters and downspouts, exterior hollow metal doors and frames, and replace exterior wall insulation. 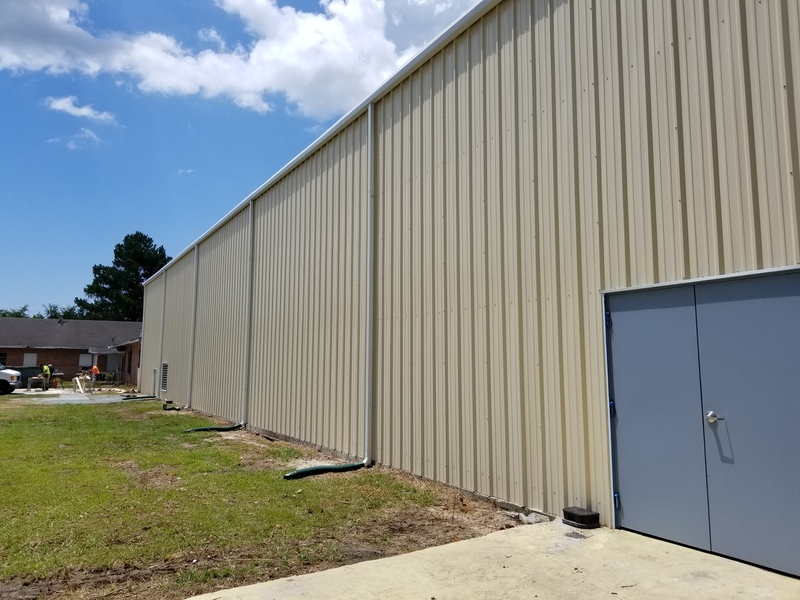 Install two industrial type exhaust fans and louvers for ventilation. 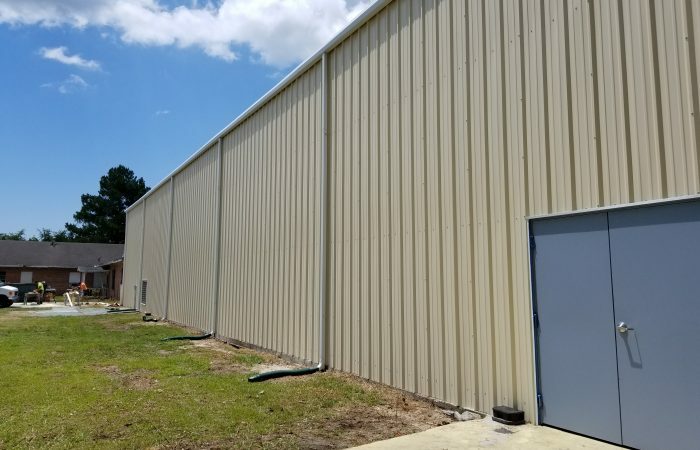 Remove and replace existing roof vents including miscellaneous roof repairs.